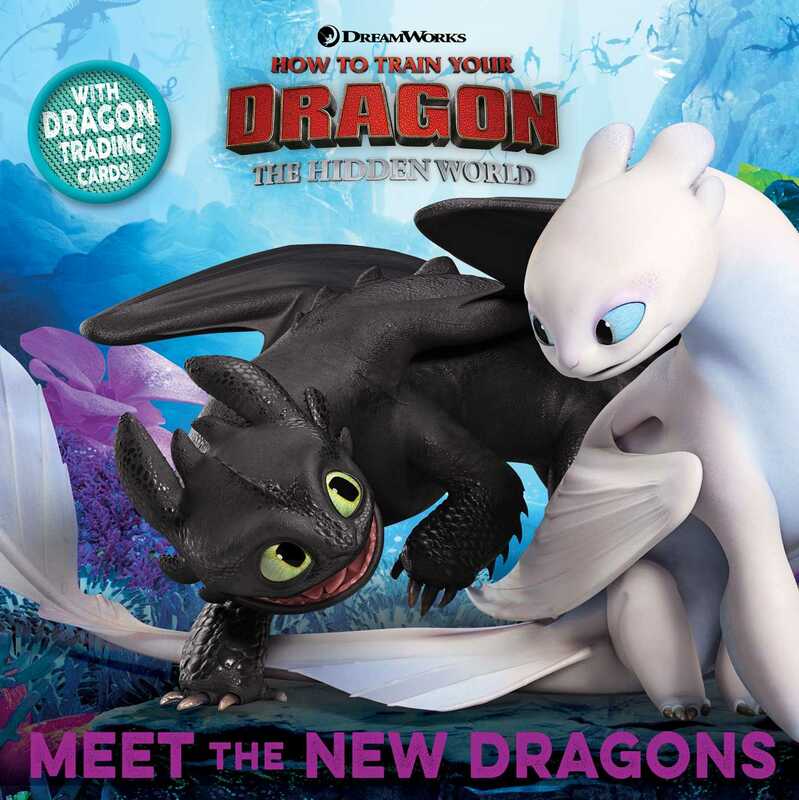 Get to know the new dragons that Hiccup and Toothless meet when they travel beyond the Island of Berk in this 8x8 storybook inspired by the DreamWorks Animation movie How to Train Your Dragon: The Hidden World! This storybook comes with 8 dragon trading cards! How to Train Your Dragon: The Hidden World flies into theaters on February 22, 2019​! Get to know all of your favorite dragons from How to Train Your Dragon: The Hidden World in this book that’s full of fan favorites like the Deadly Nadder and Hideous Zippleback—and some new species like Deathgrippers—and lots of fun facts for young fans.